Arugula is a leafy green vegetable prized for its strong, peppery flavor. Like most lettuces, it is very easy to grow. Arugula is a spring or fall green that is typically grown from seed. Often called rocket, the leafy vegetable is prized for its strong, peppery flavor. There are two basic types of arugula: cultivated and wild. 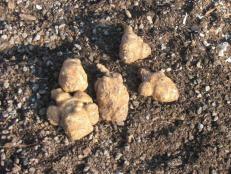 The wild varieties have a more pungent taste. 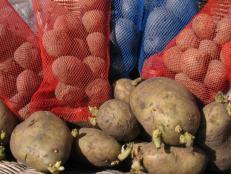 Popular varieties include Rocket and Wild Italian Rocket. 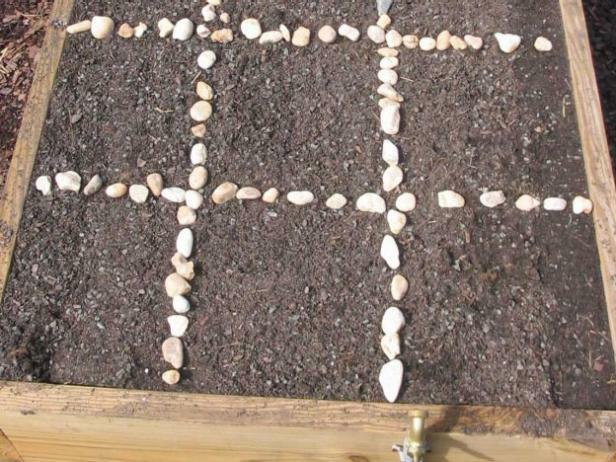 When planting your arugula, you can separate the bed into sections. 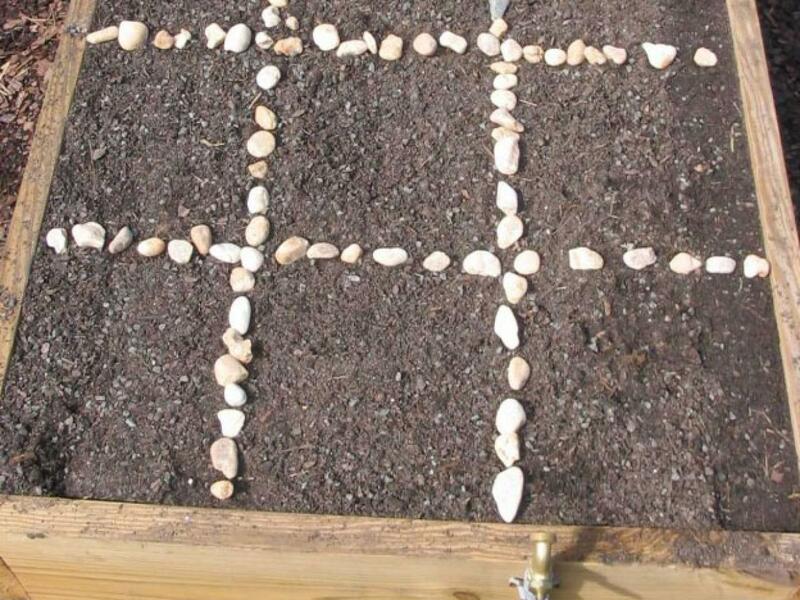 Outline your sections with some sort of marker so that you know where you have sown your seeds. If you make separate sowing of arugula seeds several weeks apart, you will have plenty of healthy arugula all season long. Arugula likes cool temperatures, a fair amount of sun and plenty of moisture. 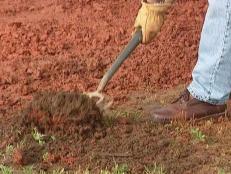 With a garden fork, work some high-nitrogen fertilizer into the top 5" or 6" of soil. 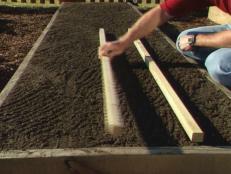 Partition the garden bed into small sections using pebbles or other materials. 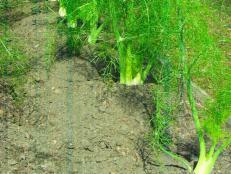 These areas make it easy to plant successive crops for a longer harvest of tender greens. Arugula is best planted in the spring, once the temperature hits about 40 to 65 degrees. 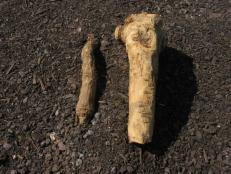 When you plant, don't worry about their spacing. 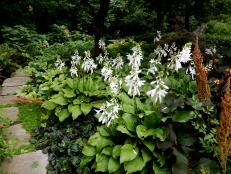 If the plants are too thick, they will be thinned out later. 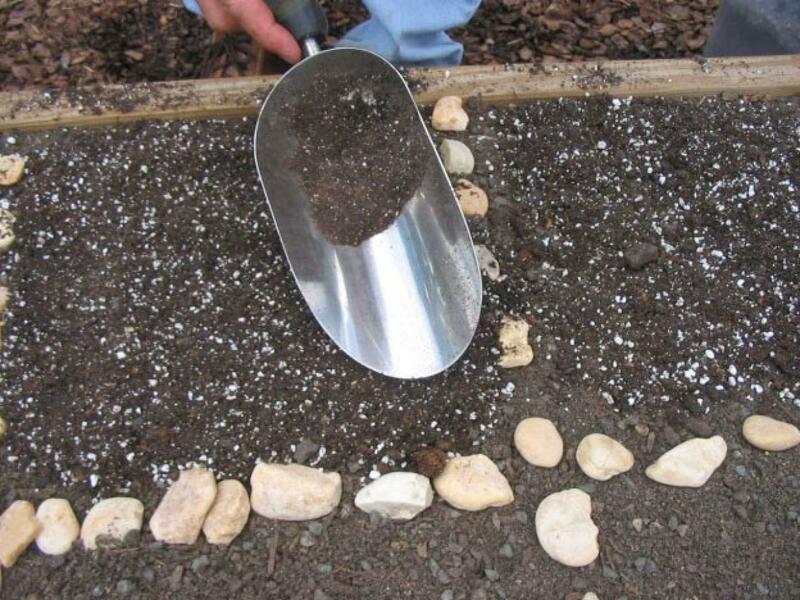 What is important is to keep the seeds covered with a fine layer of garden soil and to keep them moist until they germinate. 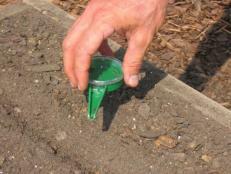 In early spring, when soil temperatures are 40 and 65 degrees, it is safe to plant the seeds. Scatter the seeds across the soil in one section of the garden bed. 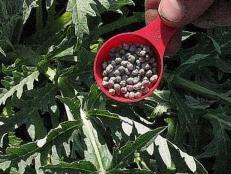 It is fine if seeds overlap as the seedlings will be thinned later on. 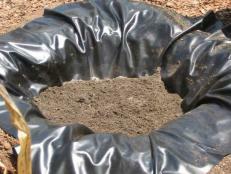 Cover the seeds with 1/4" of fine garden soil and gently water them in. 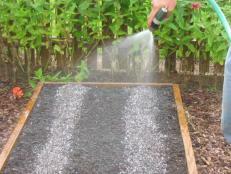 Keep the bed moist until the seeds germinate. Arugula seeds generally germinate about a week after planting, so when seedlings reach 1 inch tall, thin them out so that the plants are spaced 3 to 4 inches apart. 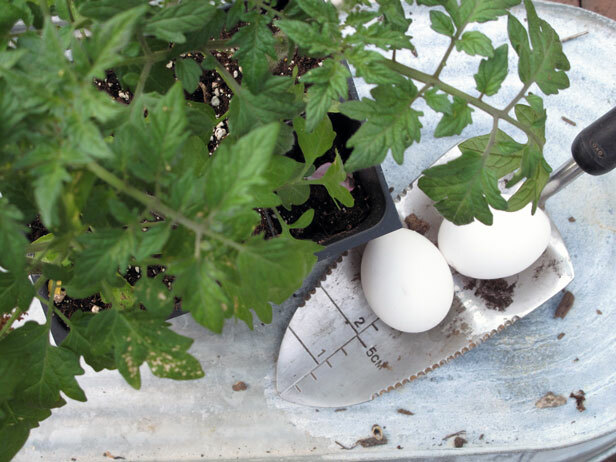 To thin them, simply cut off the extra plants at the base with a pair of scissors. 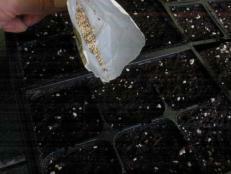 The arugula seeds should germinate in about a week. When the seedlings are 1" tall, thin them so that the plants are spaced 3" to 4" apart. 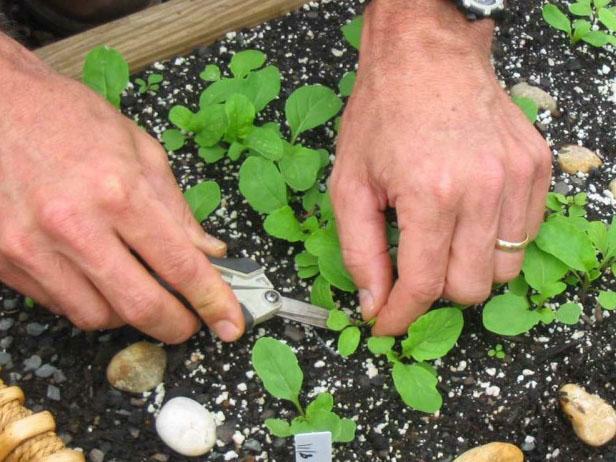 To remove them, simply snip the plants at the soil line with a pair of scissors. 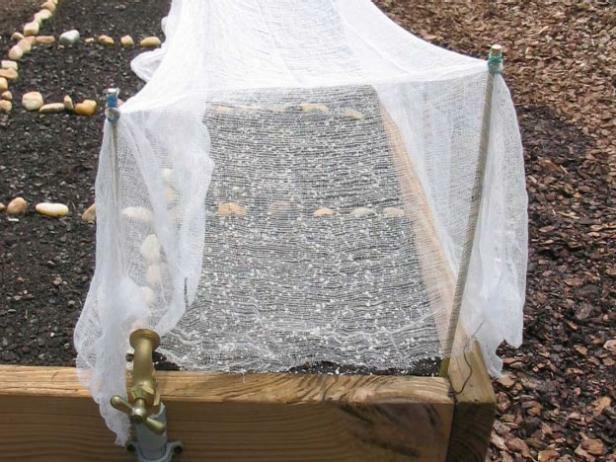 Growing arugula seeds need protection from the harsh summer sun. Use a row cover, suspended by wires and hoops to keep the fabric off the seedlings, to shield them from the sun's rays. Many gardeners use shade tents to give arugula a bit of protection from the hot summer sun. Consider using floating row covers suspended by wire hoops. Secure the corners with bricks or rocks to prevent them blowing away. Arugula is typically ready for harvest between 35 and 45 days after sowing. 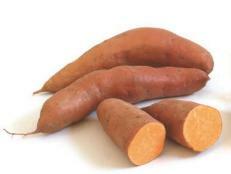 To harvest, simply pull the outer leaves off near the base of the plant, leaving the inner leaves to continue to grow. 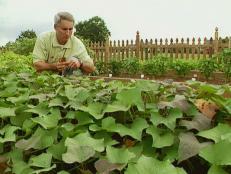 Many gardeners prefer to harvest the entire plant by pulling it from the ground, roots and all.